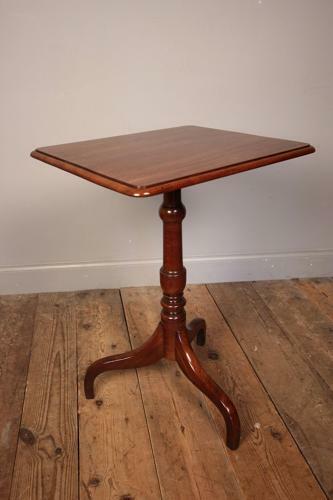 A lovely quality mid 19th century solid Mahogany lamp table with good even colour, having a moulded top and raised on a column base with ring turned decoration, terminating on a triform base. Firm standing, in excellent condition throughout. English, Circa 1840.